Not only did Mecha and Greg’s chemistry make for some steamy and intimate photographs, their perfectly coordinated attire added a fashionable flare that really elevated their images to the next level. From matching their choice in colors to some of the ones that would be used in their wedding in May to changing their accessories between looks, this couple knew the drill when it came to styling and coordination! 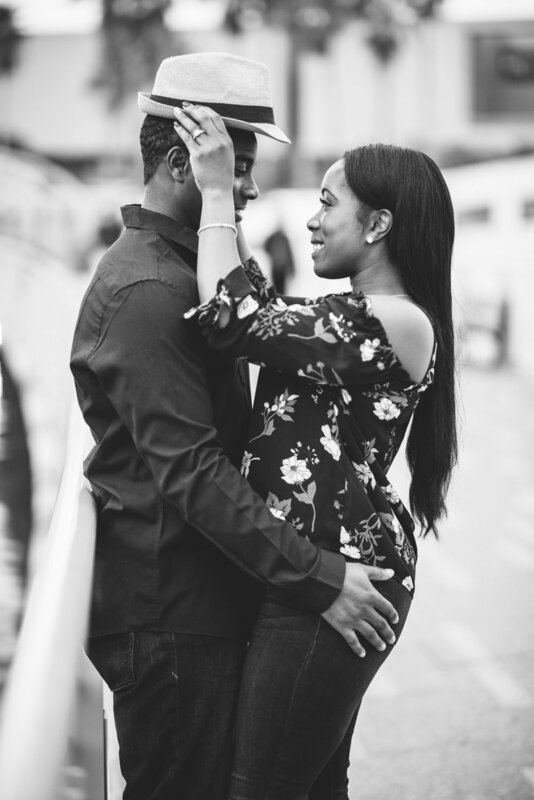 LaMecha and Greg came dressed to impress, and it set the mood for a beautiful, romantic session that resulted in thoughtful and stylish engagement images. We finished their session down at the Riverwalk, where Greg showed us how a fireman’s carry was really done! We can’t wait to capture this couple’s unique and romantic wedding which will be held at the Tampa Bay Firefighter’s Museum.